Meet the Instructor: Jason Beale is a All-American NCAA Baseball Athlete, with 20 plus years of baseball instruction from high school to the professional levels. He played at Ferrum College and Virginia Tech during his college career. 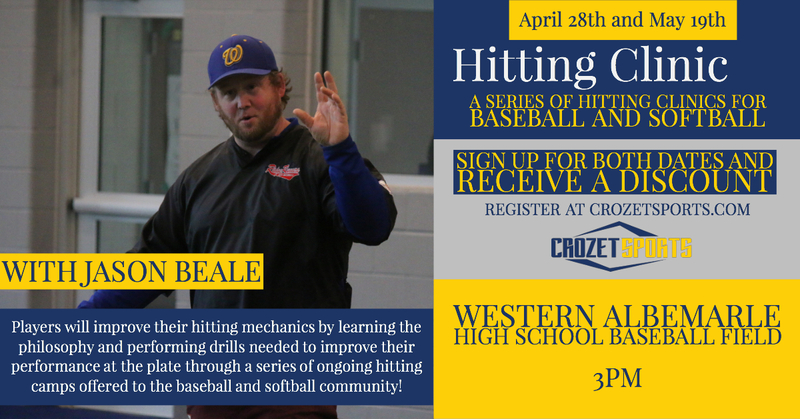 Jason is the current Western Albemarle High Pitching Coach and still holds pitching records for the WAHS baseball program and was named player of the year in high school. He is an amazing leader and coach with a wealth of knowledge. Jason’s passion comes from deep roots through his Dad, Sam Beale known as the original “Dr. Baseball” in the Central Virginia area. Jason is dedicated to share his talents and experiences to better develop players to succeed in this game of baseball and life. Please Submit Registration and return to this page to Submit your Online Payment. Thank you!